Contemporary designs using modern and traditional materials and techniques. Lizzytish combines the use of computer aided design and hand made techniques to create these truly unique and stylish products. 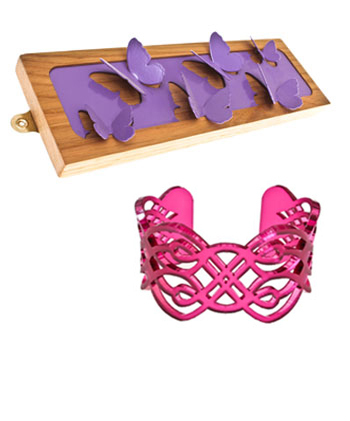 The products include jewellery hangers, jewellery and art work. Services include wedding products and laser cutting.